The lead is from Neil Brooks; it produced a comment from Barrie Schuster that’s so good that I posted the comment as a second part of this post. Enjoy! Hi Karl. Your Sunday column reminded of a story from the past. 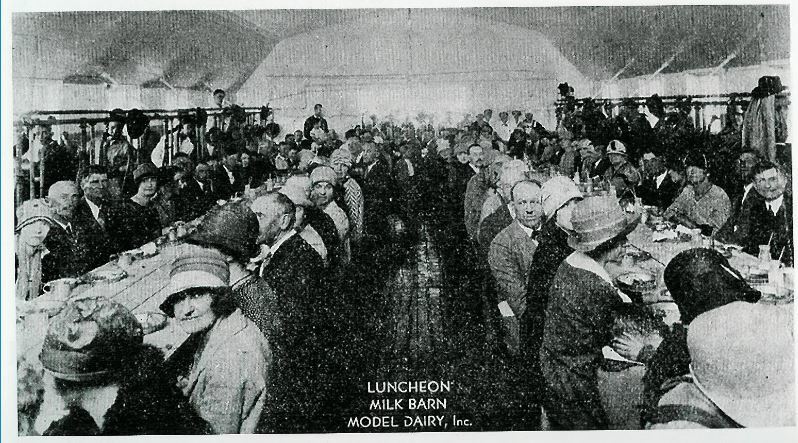 In 1940 Model Dairy was inspected by the Reno Rotary Club and as noted by the Nevada State Journal the following: Eating in the barn where the cows are milked, members of the Reno Rotary Club enjoyed a luncheon yesterday at the Model Dairy as guests of Ernest Brooks, newly elected President of the club. Tony Pecetti furnished accordion music during the luncheon and Brooks spoke briefly on dairy activities. The luncheon was served by the Y.W.C.A., George Siri of Silver State Bakery cooked it and John Blum of the Nevada Packing Company furnished the meat. Members of the club took the opportunity to inspect the plant. Hugh Herd presiding. How appropriate for Hugh “Herd” to preside! 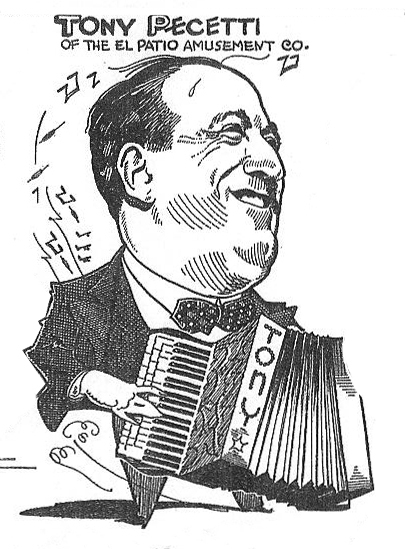 Enclosed is a picture on an envelope of the function and also a caricature by Lew Hymers of Tony Pecetti. Great article Karl. I am going to send a copy to Tony Pecetti’s niece in Nebraska. She is currently making copies of photos of her uncle for me. I’ll share them once they arrive. Tony built three brick bungalows on Mann Street (now Wonder Street) in 1925 .He lived in a tiny one bedroom house behind them in the alley for 45 years. I have been living in one of the brick bungalows for eleven years now and own one of the others plus his old house as well. In my quest for information on Tony Pecetti, I have been overwhelmed to find that nobody has a bad thing to say about him. He seems to be the most well liked human being I have ever researched. Nearly every photo I have seen of him shows him with an ear to ear grin. I wish I could have met him, but he died the year before I was born. Tony’s sister Katie married Philip Curti and they lived one block away in the brick “castle” at 137 Burns. Jeannie is the youngest daughter of Philip and Katie and she rented the house I live in from her Uncle Tony in the 1960’s. She told me that Tony was a man ahead of his time. 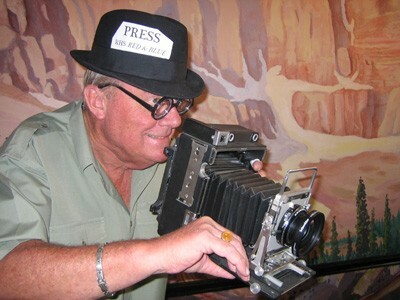 He rode motorcycles in the 1920’s (Harley Davidsons) and filmed lots and lots of movies of everyday life: scenes from the old Reno rodeos, inside the El Patio Ballroom and all around Reno. She has most of them. I’m hoping to get them transferred to a format that can be shared with all the lovers of Reno history.